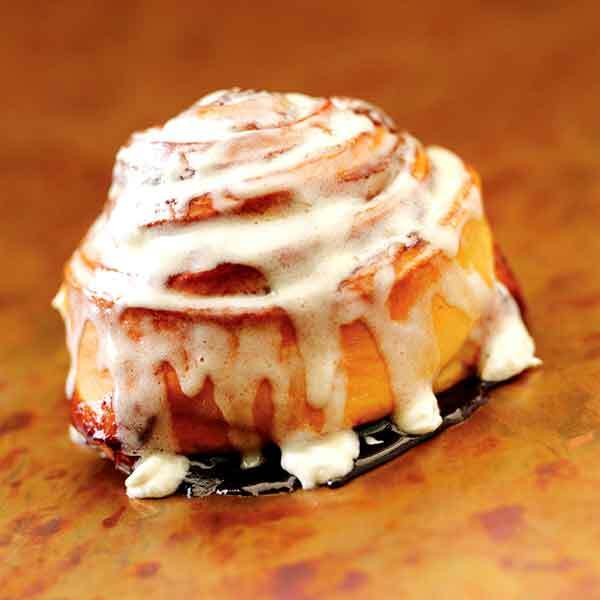 Since 1987, Cinnaroll Bakeries have welcomed guests into our cozy nooks and served them just-out-of-the-oven, gourmet cinnamon rolls smothered in smooth cream cheese frosting. Every gooey bite was perfectly complemented by our rich, fresh made coffee. Our delicious, high-quality baked goods stood out in a mall setting from the usual fast food fare, and our company quickly expanded from our first Calgary location to across Alberta, British Columbia, and the world beyond! We quickly realized that many of our guests didn’t live near enough to our bakeries to indulge in our goodies as often as they’d like. That’s why in 1993, we began to provide our gourmet thaw-and-sell cinnamon rolls to retail grocery and food-service industries throughout Western Canada. Over the following two decades, demand for our cinnamon rolls continued growing, and we soon expanded out of our then-production plant. Today, our 30 000 square-foot office and bakery can produce 100 000 cinnamon rolls per day. We carefully bake each batch and hand-finish every cinnamon roll and twist; then our rolls and pastries are packaged, frozen, and delivered to customers all over Canada and the US. In 1987, we dedicated ourselves to providing our loyal customers, retailers, and consumers with fabulous baked goods of uncompromising taste and quality. Today, we are just as committed to the same attention to detail in our Good Manufacturing Practices as we are in selecting our ingredients. The times have changed, but our values have not. The cinnamon roll is a symbol of traditional family values and home-baked goodness.